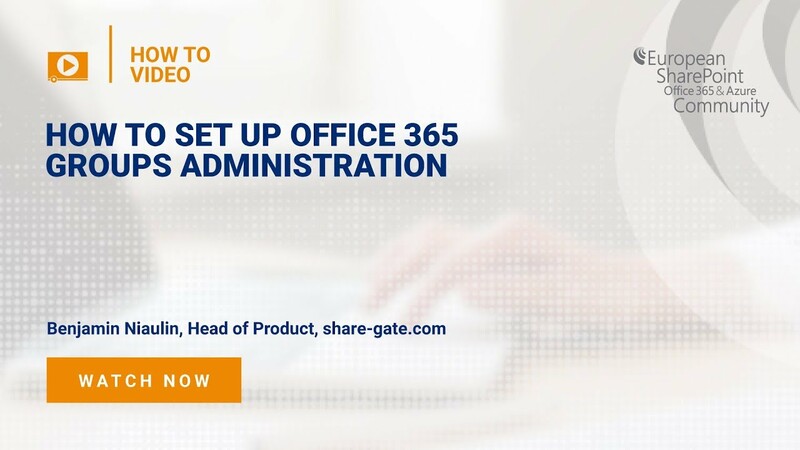 Join Benjamin Niaulin, Head of Product, share-gate.com as he demonstrates How To set up Office 365 Groups Administration. 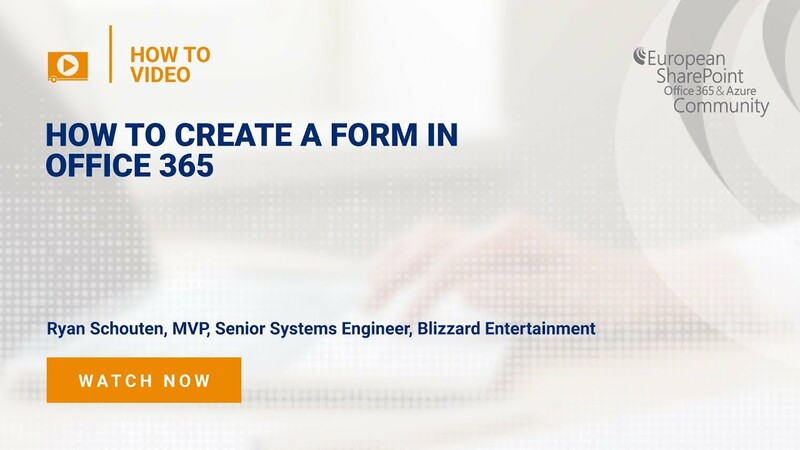 In this session we will discuss how to gather data from internal or external users with Microsoft Forms. 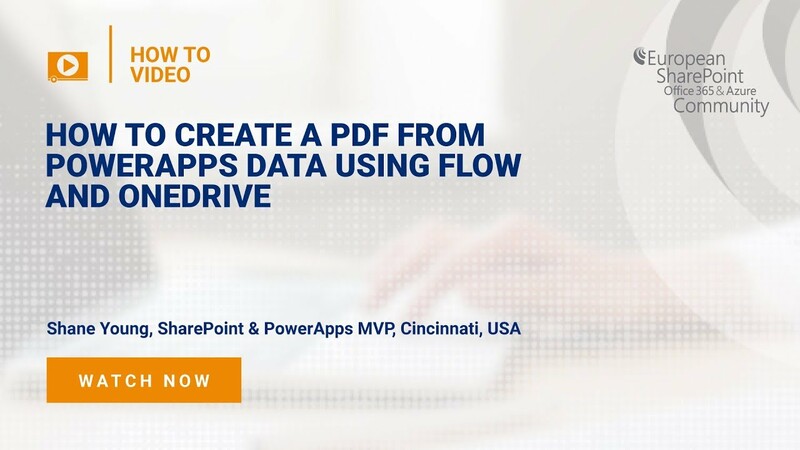 Join Shane Young, SharePoint & PowerApps MVP, Cincinnati, USA on How To Create a PDF from PowerApps data using Flow and OneDrive. 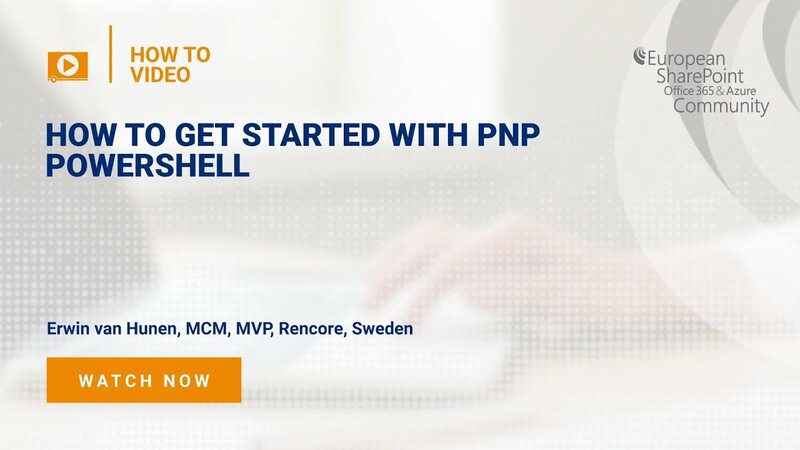 Join Erwin van Hunen, MCM, MVP, Rencore, Sweden as he demonstrates how to get started with PNP Powershell. 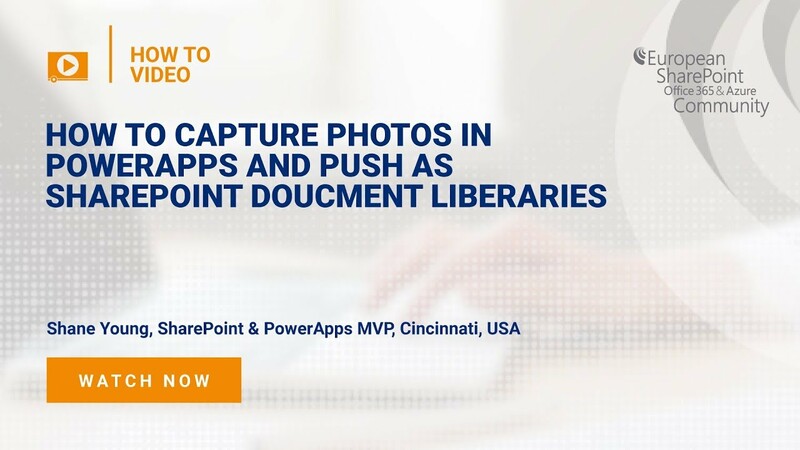 Join Shane Young, SharePoint & PowerApps MVP, Cincinnati, USA on How To Capture Photos in PowerApps and push as SharePoint Doucment Liberaries. 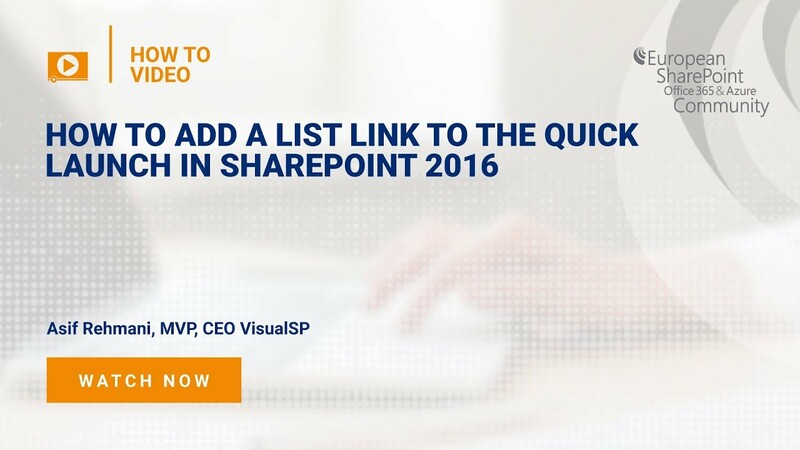 To create a shortcut to a list, you may add the link on the Quick Launch menu. 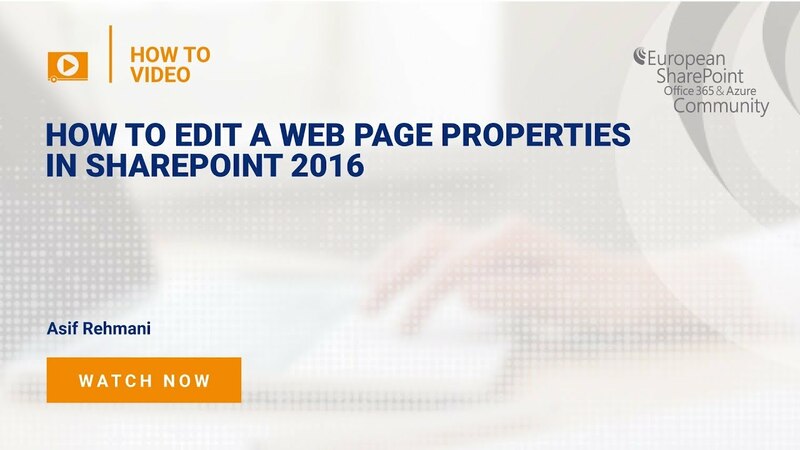 You need to be a site owner or have edit permissions to be able to make changes to the navigation of a site. 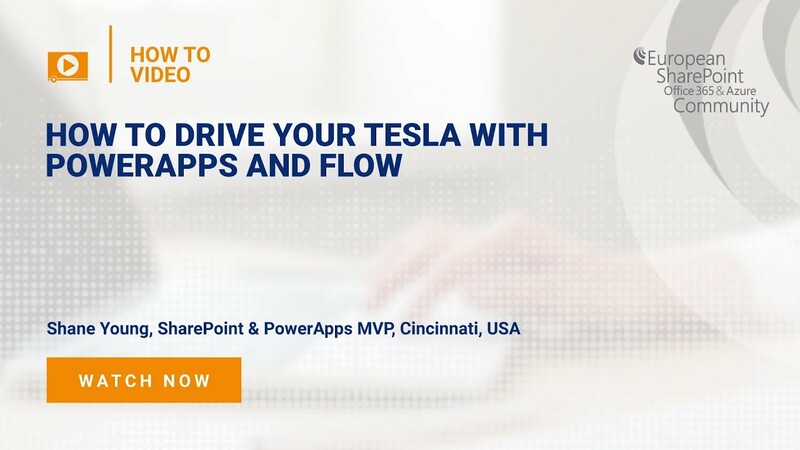 Join Shane Young, SharePoint & PowerApps MVP, Cincinnati, USA on How To Drive your Tesla with PowerApps and Flow using a no code method. 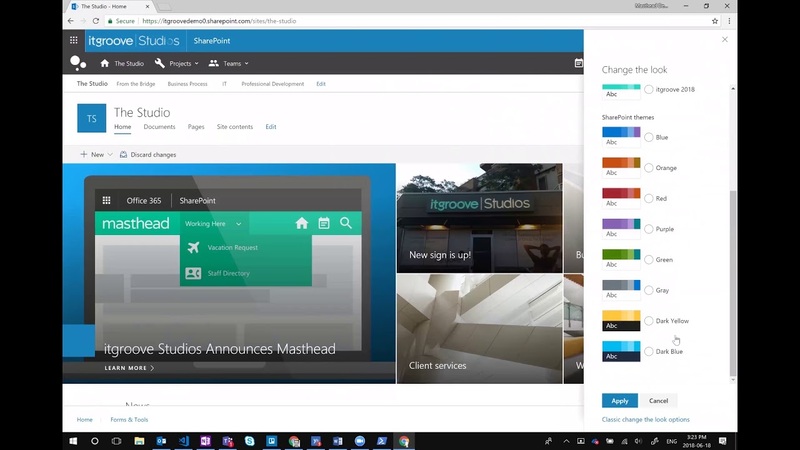 This short video explains How to Connect a Contact List to Outlook in SharePoint 2016. 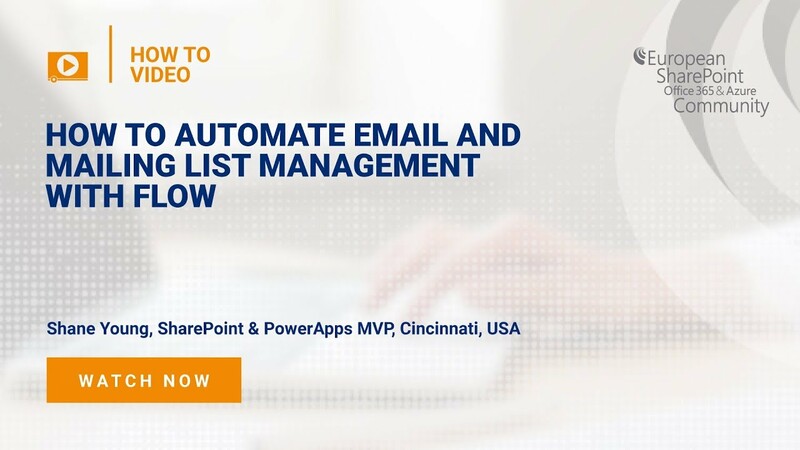 See how easy it is to manage your team members contact list right within Outlook, without the need to go back-and-forth between the two applications. 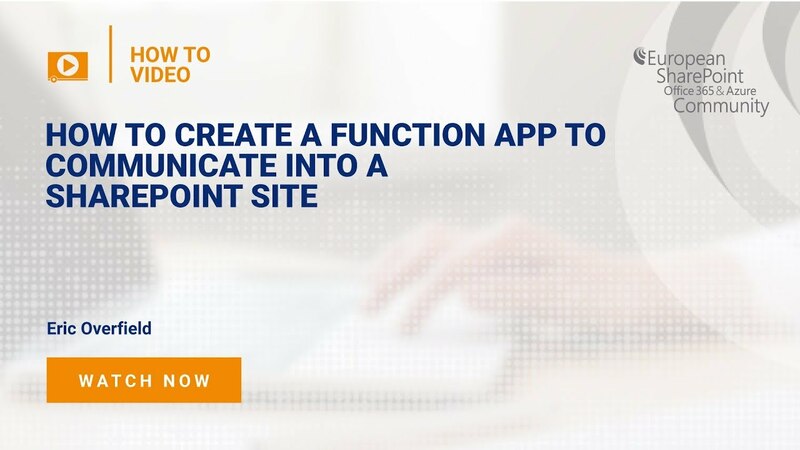 Join Eric Overfield, Microsoft Regional Director, MVP, PIXELMILL, USA on How to Create a Function App to Communicate into a SharePoint Site. 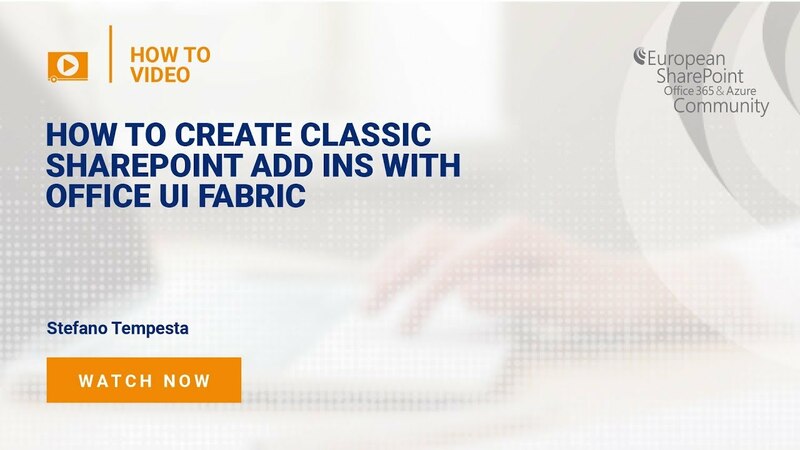 The short tutorial will help you jumpstart your next SharePoint project using future friendly provisioning methodologies. This video is a help item from VisualSP, the plug-and-play add-on application that provides end-users with context-sensitive instant self-help right at the moment of need. 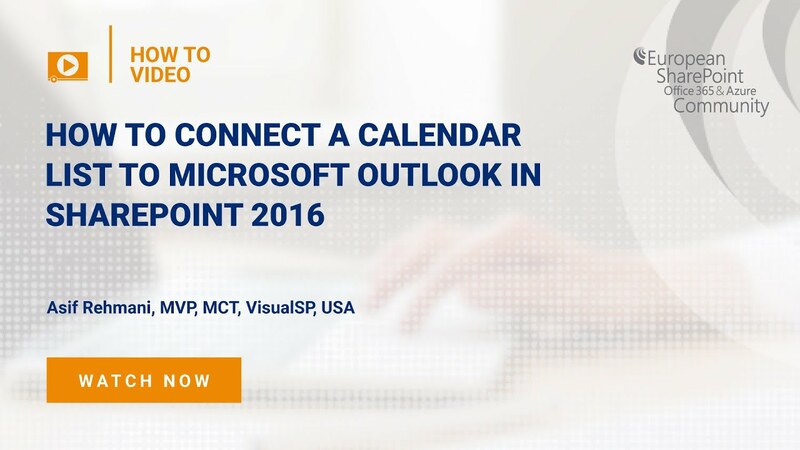 Using a SharePoint site calendar allows everyone who has permission to view and modify it. 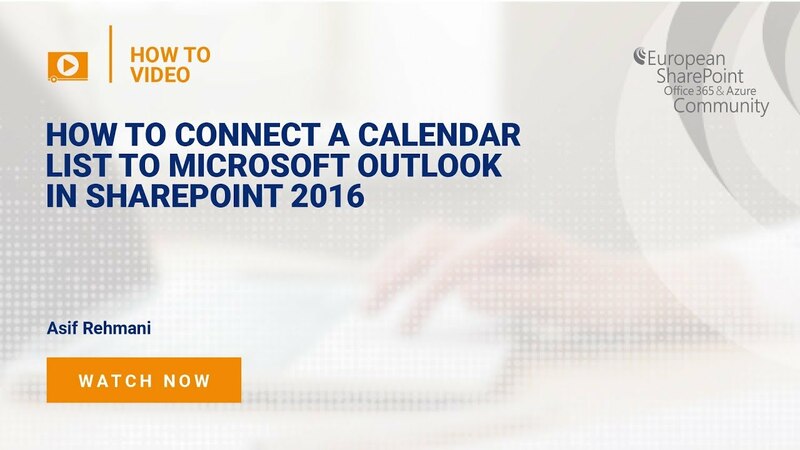 To avoid the back-and-forth between SharePoint and Outlook, connect the calendar list to your inbox environment. 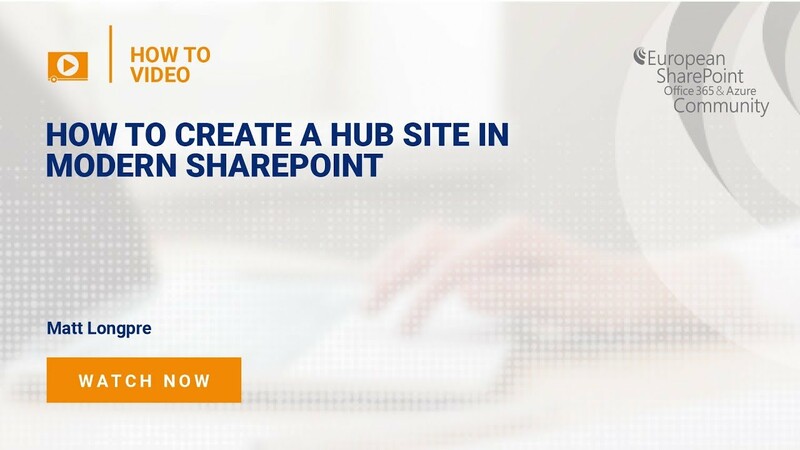 In this How To video, you can learn how to create a Hub Site in Modern SharePoint with Matt Longpre & Alec McCauley of itgrove, Cananda. To restore an item that you have deleted from a list or document library, just go to the Recycle Bin, select the item, click Restore, and then Ok in the confirmation box. Once restored, the item appears in its original location.